Home » News » Rachel soars through her thesis defense! Rachel soars through her thesis defense! 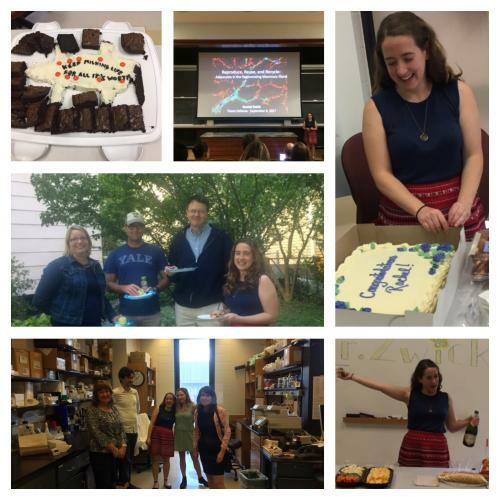 On a sunny Friday morning Rachel defended her impressive body of work to her thesis committee, peers, family and friends, and received the title of PhD in Molecular, Cell, and Developmental Biology. We are so proud of Rachel and we cannot wait to see her future accomplishments! Congratulations Dr. Zwick!!! !